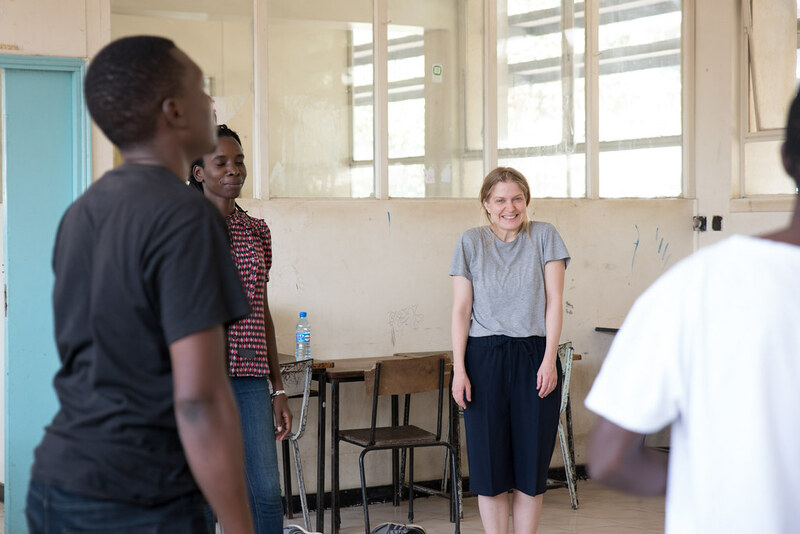 An international exchange project for eight artists from Kenya and Germany working with contemporary dance, performance, technology and design. 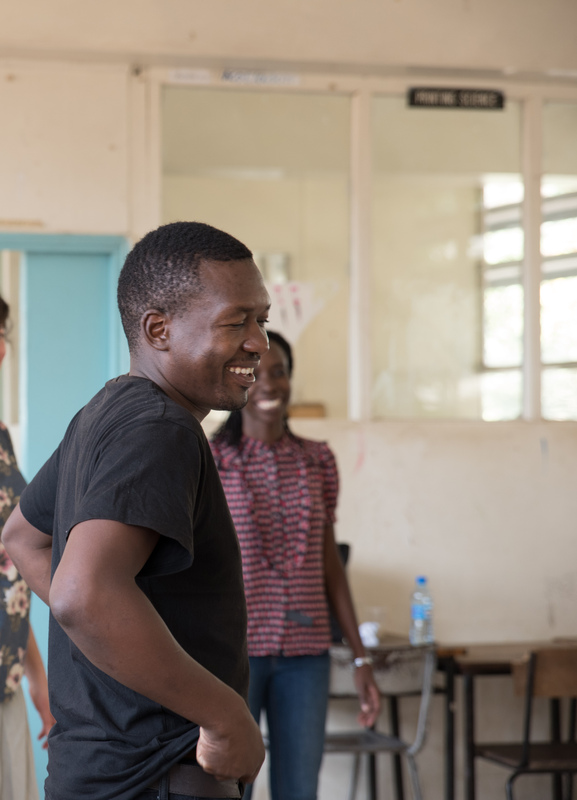 The Choreographic Coding Production Lab Nairobi/Frankfurt is a project initiated in collaboration between NODE17, Motion Bank and Goethe-Institut Nairobi. 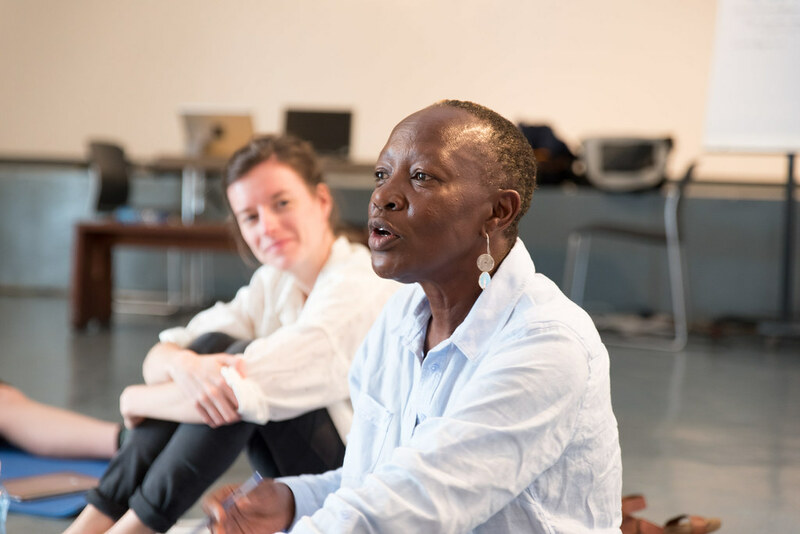 We invited four artists from Kenya and four Germany based artists to create a common project in the framework of NODE17 and our leitmotif Designing Hope. Invited to this international exchange project were Berlin-based designer and theoretician Amelie Hinrichsen, Alacoque Ntome, who entered the group with a perspective as a dancer as well as light technician, Awuor Onyango, who combines poetry, artistic research practice and digital means in conceptual projects of different shapes and means, Hamburg-based choreographer, music theatre and opera director Benjamin van Bebber, Frankfurt-based choreographer and performer Else Tunemyr, Leo Hofmann, who is a Swiss-German coder, composer and performer, Jared Onyango, who is a choreographer and dancer based in Nairobi and Melisa Allela, a Nairobian digital artist, designer and teacher for interactive Media at our partner the Technical University of Kenya. 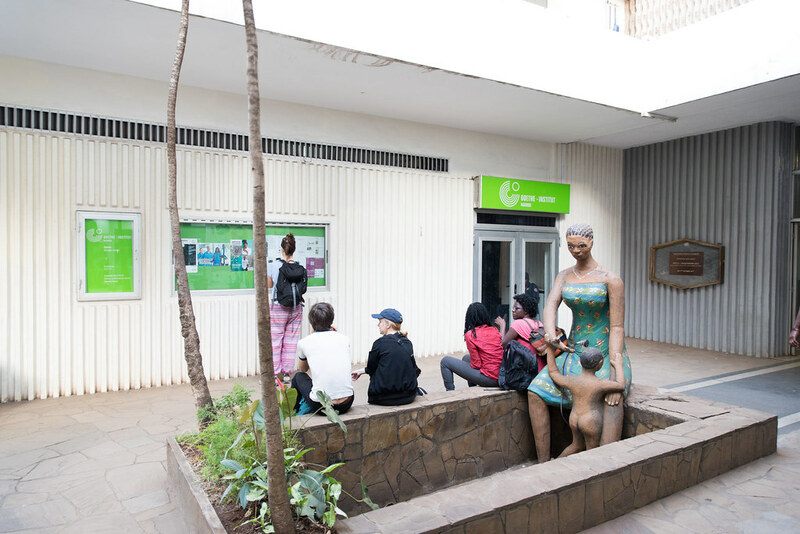 … and at Goethe Institut Nairobi. 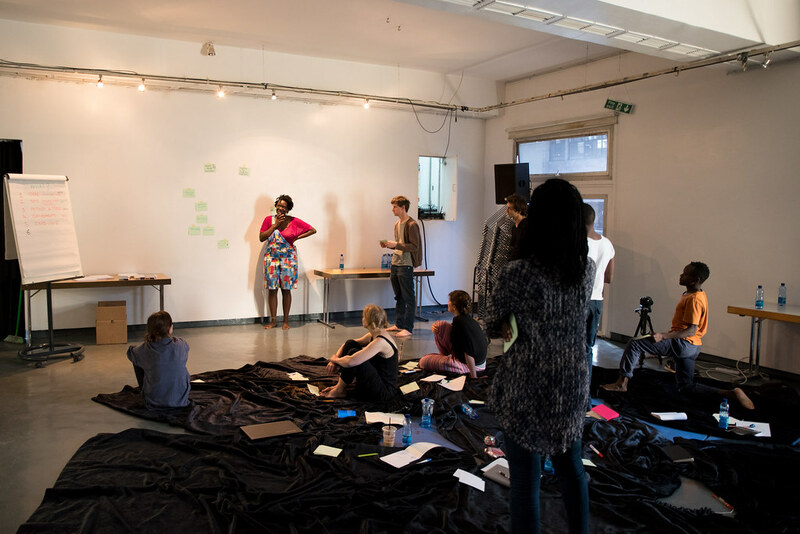 The interdisciplinary artistic team started its shared process in a two-week working phase in Nairobi in March 2017 and continued the collaboration in Frankfurt just before NODE17. 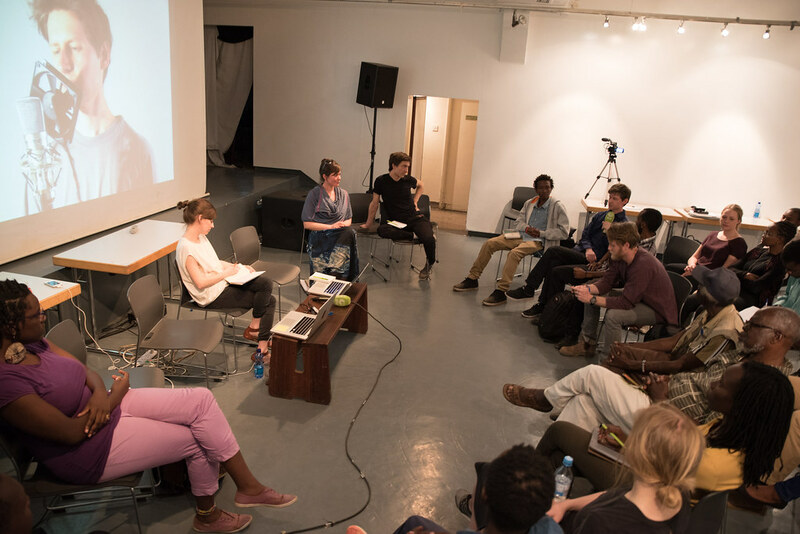 The exchange of the artists, the discussion of the dispositive of hope and the reflection on the different circumstances of production were central for the project. 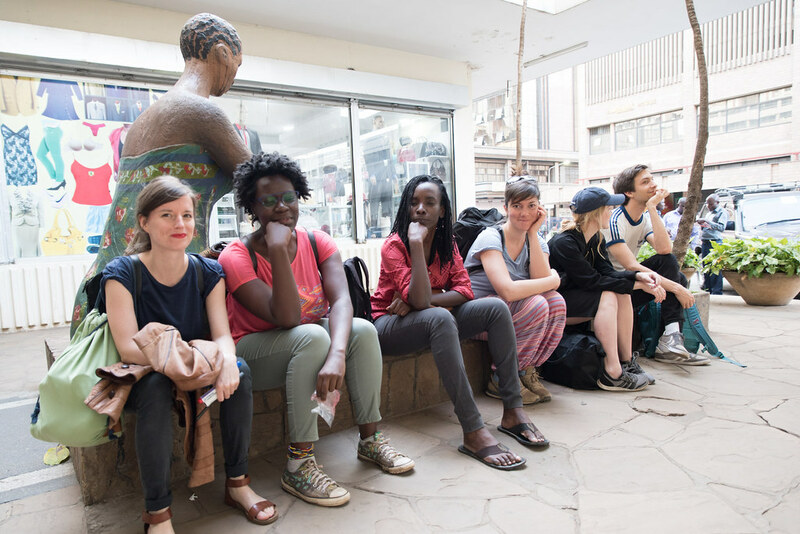 Out of that distinctive working process the artists have created a performative installation that was first showcased in Nairobi. The final result was presented during NODE17 as part of the exhibition and was accompanied by a series of performances during the week. More information, outcomes and reflections will be published online soon! Alacoque is a performer and artist who uses movement and dance in his work to create, teach, invent, critic, and open forums. He also applies movement and dance for therapeutic purposes. He is based in Nairobi, Kenya. 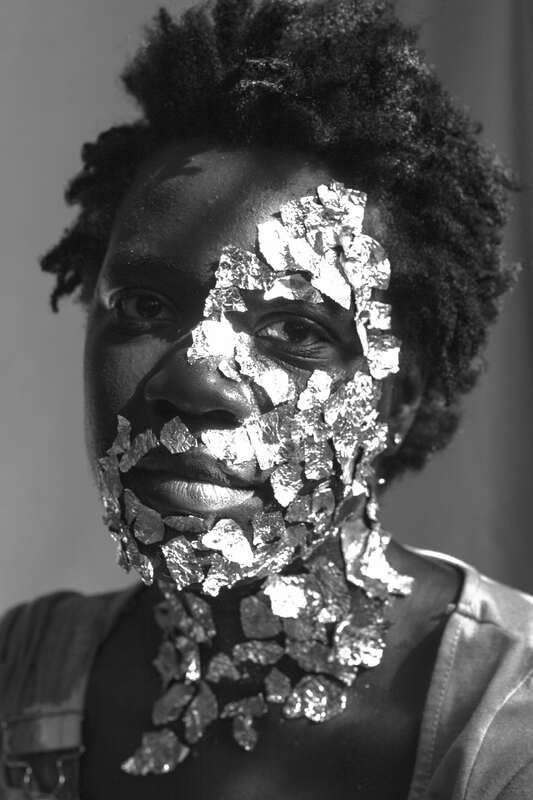 Awuor Onyango is a Nairobi-based writer, artist, photographer, filmmaker and gallerist. 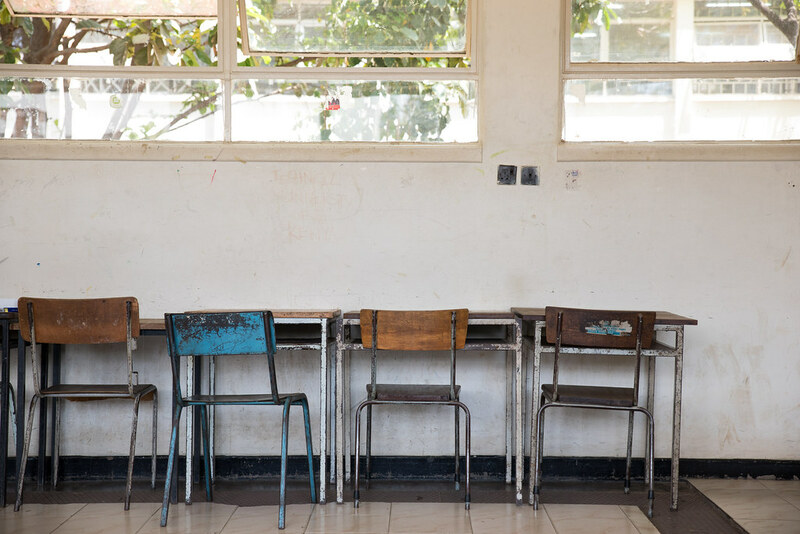 Her practice is concerned with claiming public space disallowed to people considered black, woman and other, whether the space is intellectual, physical, in memory or Historical. She’s currently exploring the transgression, shame and discomfort of the black feminine. 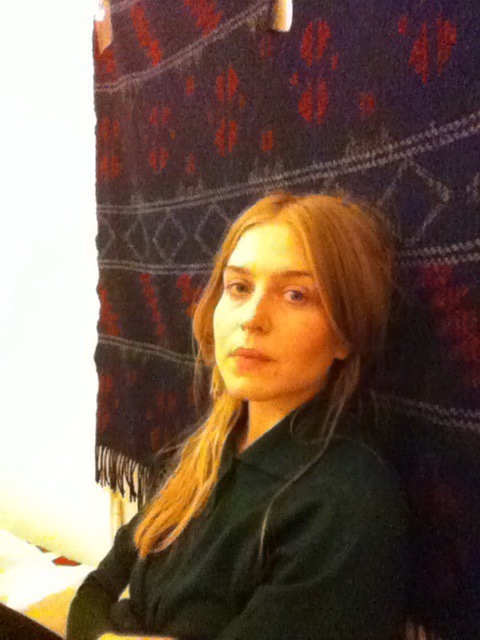 Amelie Hinrichsen is an artist and designer currently living and working in Berlin. From 2013-2016 she was a research associate in the Einstein research project 3DMIN (Design, Development and Dissemination of New Musical Instruments) at the Berlin University of the Arts. After accomplishing an apprenticeship as a carpenter Amelie completed her studies in Product Design at the Berlin University of the Arts in 2012. 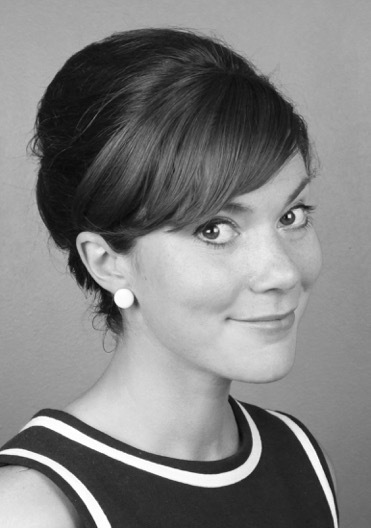 With her final project aus(sen)atmen she won the DMY Young Talents Jury Award in 2013. 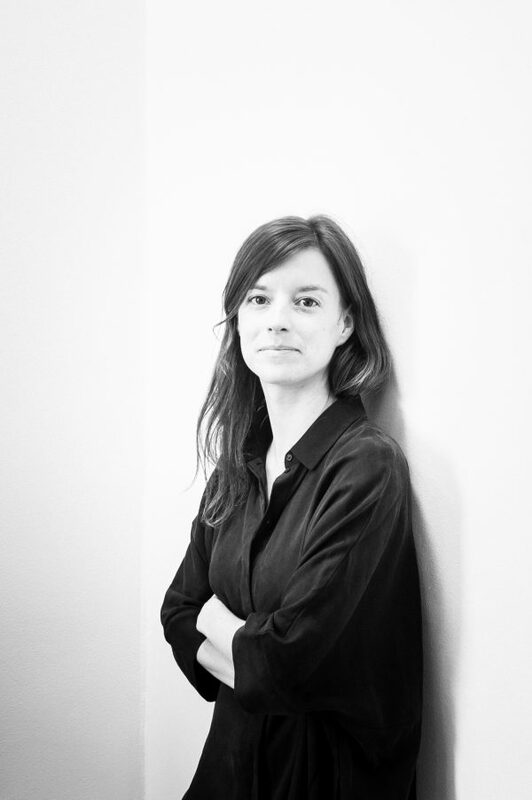 Among others, Amelie was involved in the RLF transmedia art project working for Friedrich von Borries. She has been teaching at the HZT Berlin as well as UdK Berlin. Amelie’s work ranges from film over product- to interface design reflecting the relationship of sound, movement and materiality. 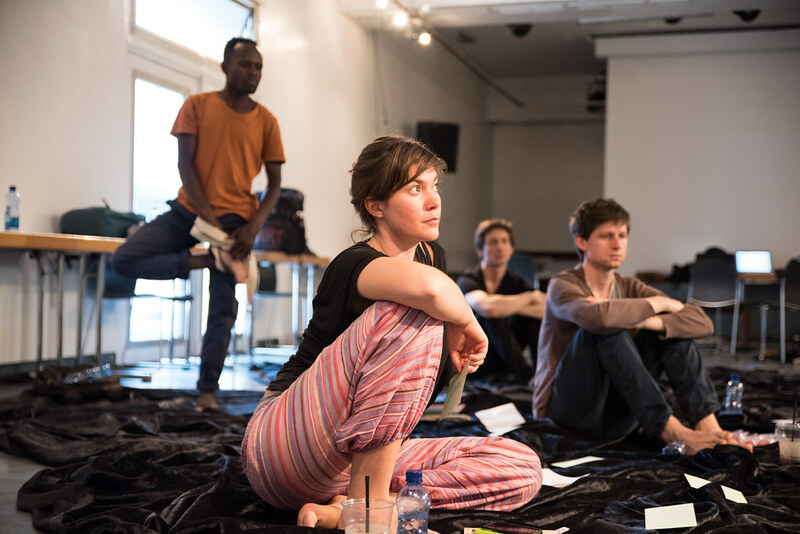 Combining theoretical research with practical experiments she investigates how these elements can inform personal physical experience especially within a performative context. 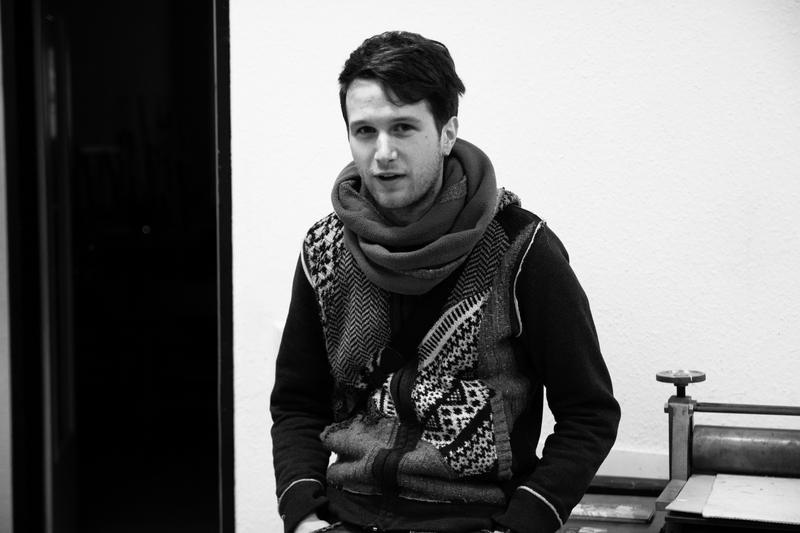 Benjamin van Bebber works as director, performer and dramaturge. Having completed studies in musical-studies and philosophy he currently studies stage direction in musical theatre in Hamburg. In his work, he focusses on the exploration of collective working-processes in the context of musical theatre and the voice as a medium for experimental and intimate encounter. 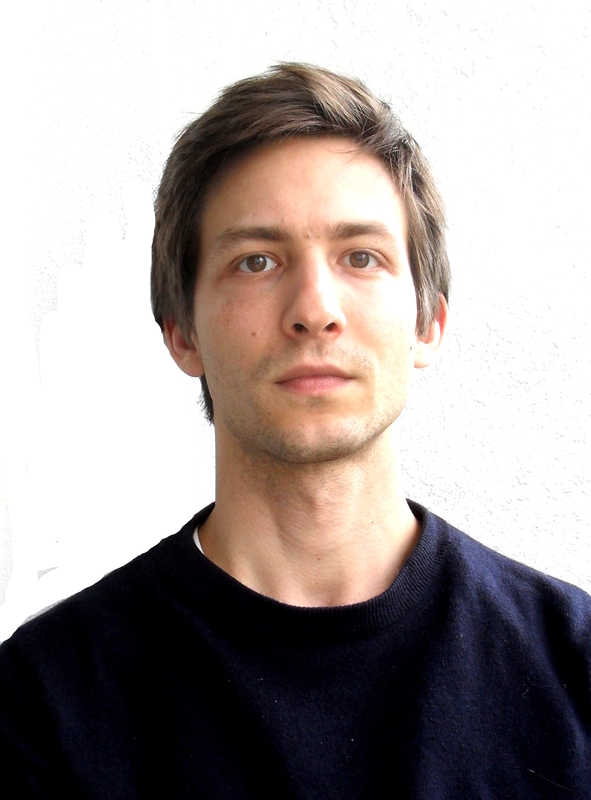 He is part of the artist network cobratheater.cobra and co-founder of the collective “Institut für angewandtes Halbwissen”. His work has been shown at Kampnagel/Hamburg, Opera Stabile/Hamburg, Ballhaus Ost/Berlin and Theater Bern (CH). 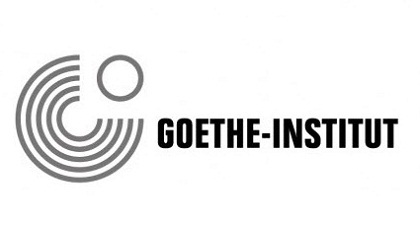 His recent work “Winterreise” was shown in Berlin and at the Goethe Institute Nairobi and will be presented at the Elbphilharmonie, Hamburg, in autumn 2017. Else Tunemyr works in dance and choreography. Born in Sweden she now lives in Frankfurt, Germany. At the moment Else is finishing her Master in Choreography and Performance at the Institute for Applied Theatre Studies in Gießen. She is engaging in different collaborations, sometimes as a dancer and sometimes as a maker, often without clear distinction. She is interested in choreography which challenges the way of viewing dance performance, and to distance the movement from the one who is moving to ever so slightly shift a sense of will. 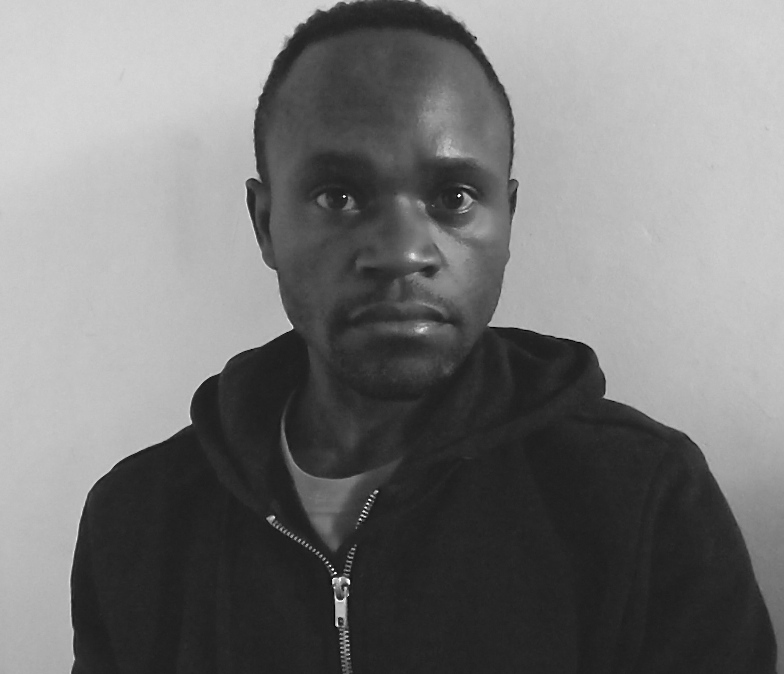 Jared Onyango, based in Nairobi, Kenya, is a dancer and choreographer whose interest is in the body as necessary material for attaining desired physical knowledge and experience. He uses dance, photography/moving images and writing as mediums to express and explore his ideas. He received the Pina Bausch Fellowship For Dancers and Choreographers 2016. For the Pina Bausch Foundation 2016 fellowship he worked with Francesco Scavetta at Vitlycke Centre for Performing Arts in Sweden / Norway last year. 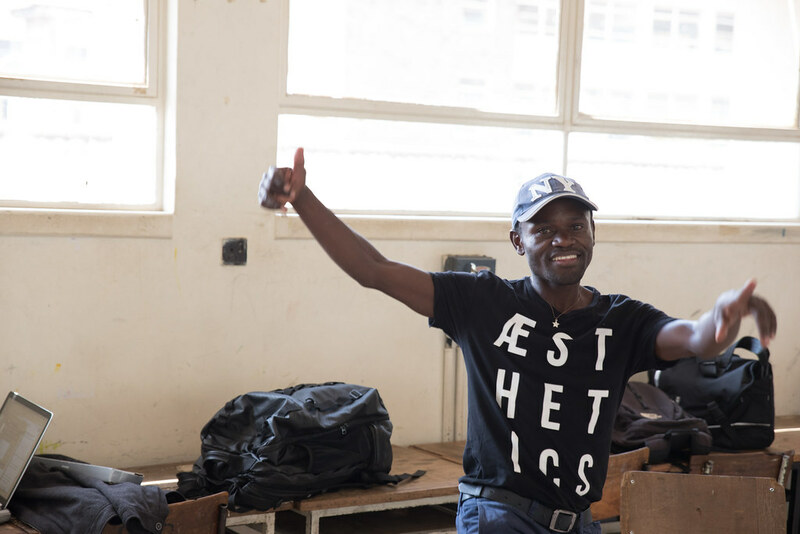 He is the pioneer of Waridi Projects Nairobi, a dance group based in Nairobi. 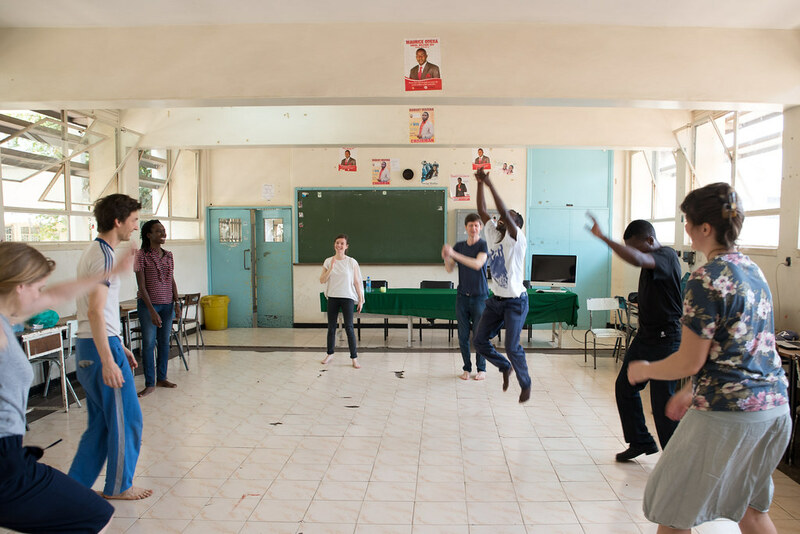 Waridi Projects Nairobi conducts dance and choreographic activities that creates occasions for networking and collaboration with local and international artists. 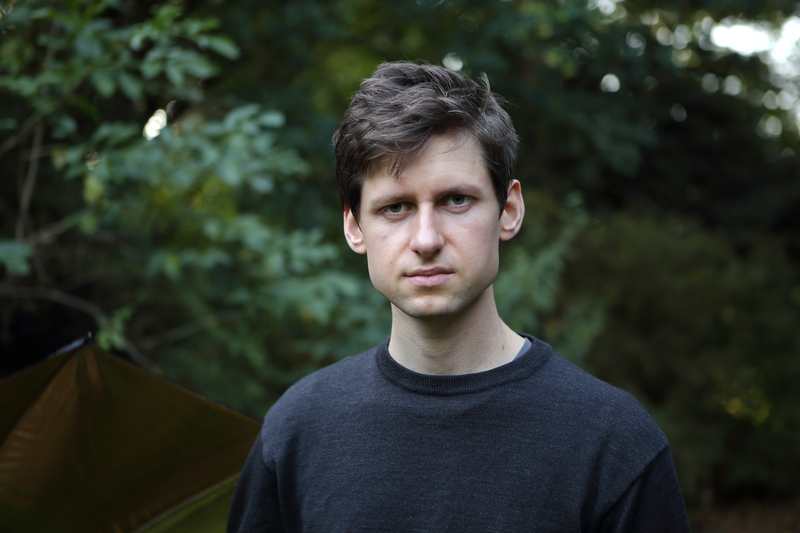 Leo Hofmann (1986, DE/CH) composes and performs for music theatre, sound performances, and experiments with audio drama formats. His work focuses on the voice as an aural and performative event, as well as the search for haptics and physicality in music. His solo pieces as composer-performer playfully deal with new musical interfaces and were featured at many international festivals. Additionally, his work includes music for theatre productions, radio pieces, and sound installations. Melisa A. Allela-Njagih merges in her work knowledge in animation, illustration and graphic design to create digital art projects that explore the retelling of personal narratives. She applies experimental animation techniques that fuse various tools and technologies. 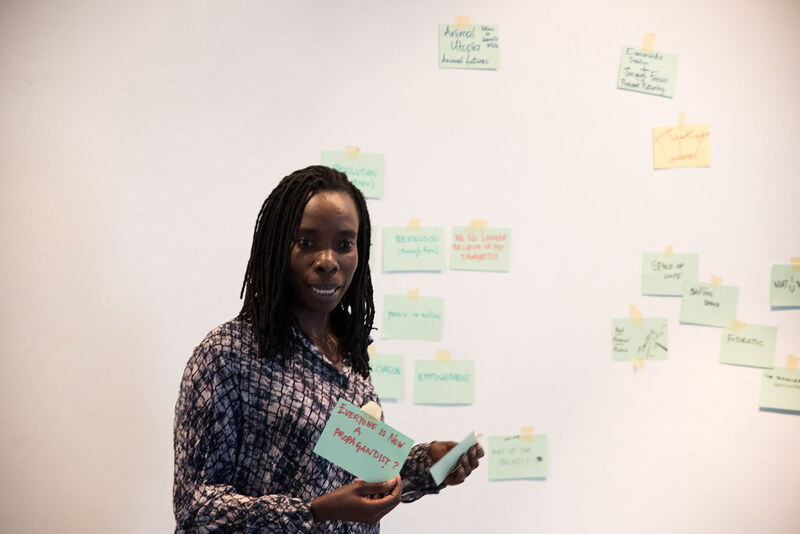 Her work has been shown at the Nairobi Digital Art festivals organized by Goethe Institut Nairobi, the Nairobi Performance series, Afrika Film festival in Leuven and at the Screendance Africa Dance on Screen Festival in Wuppertal. 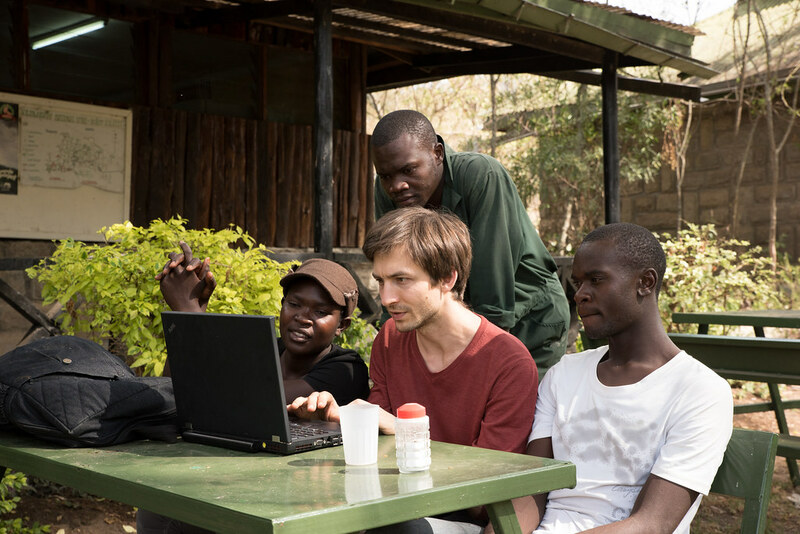 Melisa teaches Interactive Media Design courses at the Technical University of Kenya, Department of Design and Creative Media where she is also a PhD candidate. 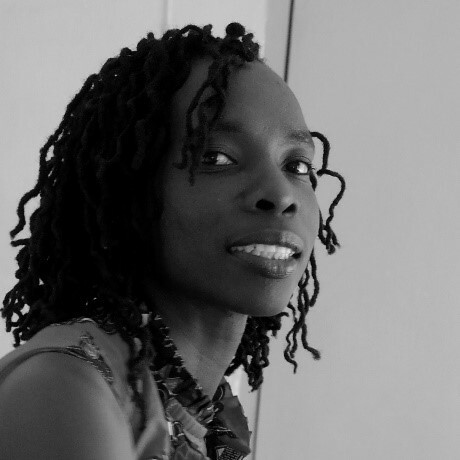 Melisa holds a Master of Arts Degree in Design from the University of Nairobi and in previous engagements, worked as a graphic designer, character designer and animator. 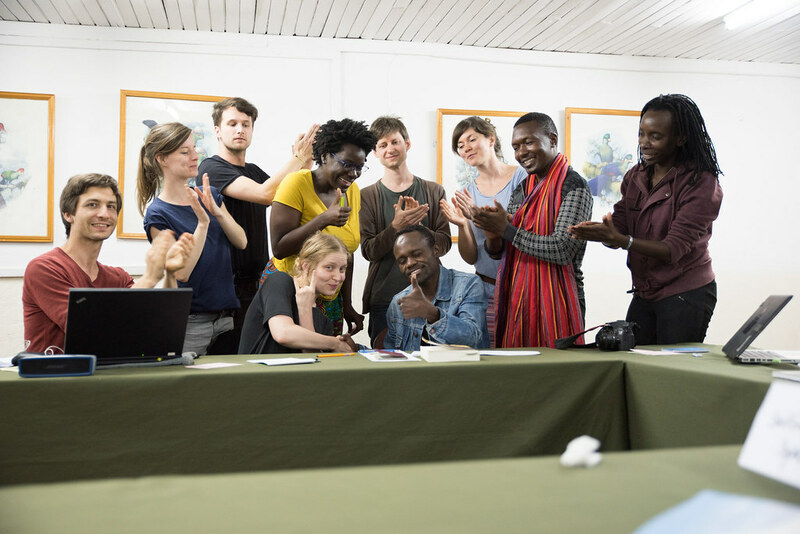 We have to express our thankfulness to Goethe Insitut Nairobi who made this exchange possible and to the Technical University of Kenya who supported us with providing funding, space, inspiring ideas and the right ground to continue a deepening relationship with the German and Kenyan digital arts scenes. Receive news about NODE's latest events, publications and more.